Today we’d like to introduce you to William Riddle. 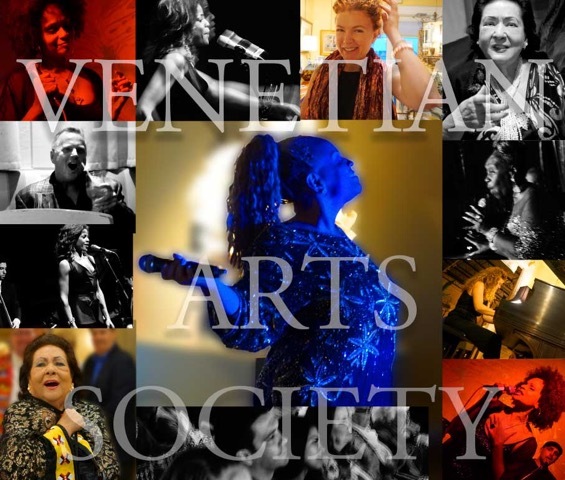 Venetian Arts Society (VAS), a not-for-profit tax exempt 501©3, is a membership-based organization that highlights the multi-cultural and inter-generational diversity of our community through a celebration of multi-disciplinary arts in intimate and interactive art salon settings. 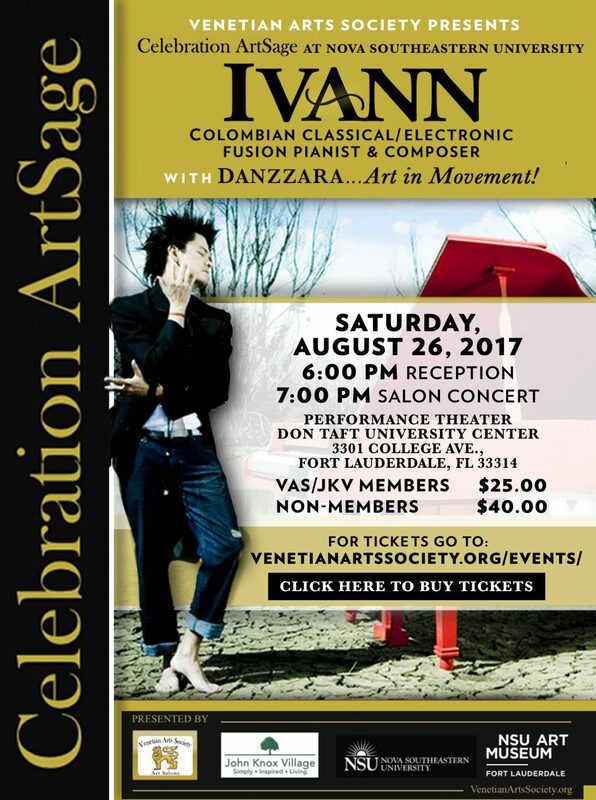 The Venetian Arts Society 21st century version of the “Art Salon” is a unique and innovative performance-educational-social concept with a mission to unify our world by celebrating the multi-cultural and inter-generational diversity of our community through inter-disciplinary arts. Please join us for a complete artistic experience with food, wine, and stimulating conversation…where art compliments art. Celebration ArtSage is one of the many innovative community arts presentations of The ArtSage Fine Arts Program of John Knox Village and Venetian Arts Society. The goal is to synthesize the total artistic, social, multi-generational and educational experience and to enrich the individual lives of all in our community through meaningful and purposeful artistic presentations… evoking the vibrancy, energy, and sheer productivity that result when people of all ages come together. In the intimate and interactive style of all Venetian Arts Society (VAS) events, John Knox Village and Nova Southeastern University join VAS to debut Celebration ArtSage, a concert series presenting celebrated international artists of all disciplines and genres in a 21st century Art Salon setting Future programming will include a Young Artists-in-Residence Program at JKV, a week-long, county wide interdisciplinary arts festival CELEBRATION ARTSAGE (in the fashion of Spoleto Festival USA), and Daydreams, an afternoon concert series set to begin in 2017 at Nova Southeastern University. Within the South Florida community at large, VAS continues UP CLOSE & PERSONAL at NSU Art Museum Fort Lauderdale, VOICES IN THE GALLERY at Gallery of Amazing Things, VAS CAFE SOCIETY, Connoisseur Salons at Villa Vizcaya (Miami), Society of the Four Arts (Palm Beach), as well as the VAS Estate Salons. These Grand Art Salons Socials are our unique and innovative 21st century version of the Art Salon with the goal to offer everyone in our community, whether a novice of a connoisseur, the rare and extraordinary opportunity to observe and interact with world performing and visual artists. The Venetian Arts Society provides a unique opportunity in South Florida for those looking for an inspiring artistic experience, stimulating conversation, elegant hors d’oeuvres, wine and champagne, as well as a connection with artists and like-minded arts enthusiasts…all within an intimate and interactive artistic, educational, and social atmosphere. The concept is modeled after the popular Salons that flourished all over Europe, especially France in the 17th and 18th centuries. These Salons, usually in private residences of the wealthy, were a place where artists and arts-enthusiasts would meet to enjoy all the visual, performing, and literary arts, as well as philosophy, science, and politics. These Salons often showcased the great minds, artists, and performers of the day such as Voltaire, Mozart, Monet, Paganini, Picasso, Chopin, Heifetz, and Hemingway. VAS presents a variety of events once a month, in art galleries, historical venues, artists’ studios, museums, and even some spectacular private homes. With origins dating from 16th century Italy, the “salon” continued to flourish in Europe throughout Europe, especially in France in the 17th, 18th, and 19th centuries. These Salons, usually in private residences of the wealthy, were a place where artists and arts-enthusiasts would meet to enjoy all the visual, performing, and literary arts, as well as philosophy, science, and politics. In a time long before TV, radio, and even electricity, this was the way to entertain, educate, socialize, and learn about current events. These Salons often showcased the great minds, artists, and performers of the day such as Voltaire, Mozart, Monet, Paganini, Picasso, and Chopin, Heifetz, and Hemingway. 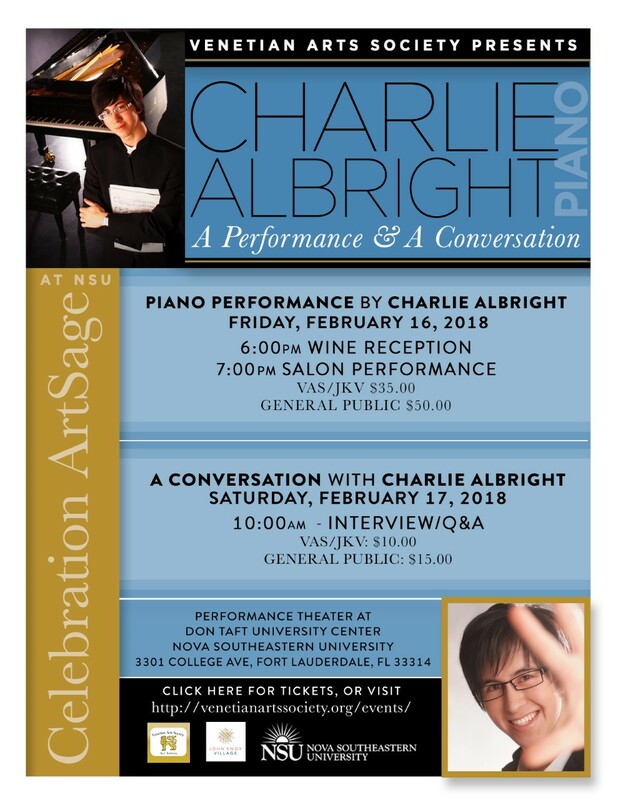 Venetian Arts Society in collaboration with Nova Southeastern University and John Knox Village present The ArtSage Alliance; a multi-generational/multi-cultural fine arts program. The goal is to synthesize the total artistic, social, and educational experience and to enrich the individual lives of all in our community through meaningful and purposeful artistic presentations… evoking the vibrancy, energy, and sheer productivity that result when people of all ages come together. These Grand Art Salons at South Florida’ premier venues and estates are our unique and innovative 21st century version of the Art Salon offering everyone in our community, whether a novice of a connoisseur, the rare and extraordinary opportunity to observe and interact with world class performing and visual artists. The VAS Art Salon presents all art and artistic cultural disciplines – music, dance, digital/new media, film/video/animation, folk arts, humanities and cultural studies, interdisciplinary events/festivals, literature, public art, theatre, performing and visual arts. Music, art, drama, and dance are tools that help us develop the mind and body, refine feelings, thoughts, and tastes, and reflect and represent our customs and values as a society. “A Conversation with the Artist” is an interview/non-traditional master class/discussion/Q&A in the same style as our Venetian Art Society (VAS) Art Salons. We envision a musician’s version of James Lipton’s “Inside the Actor’s Studio,” with emphasis on all aspects of the journey from childhood dream, through education, and to the reality of living “The Life of the Professional Artist.” The goal for this session is to encompass technique, music education/history/styles, drama and stage movement, health and physical issues, scheduling, and any other issues that arise in the day to day life of a professional artist. We have requested that the artist discuss the personal path from childhood through high school and college, through the semi-professional internship period, and into the professional arena. The 21st century professional artist has many issues with which to deal in order to present the most complete, professional, technically proficient, and artistically sound “package,” and our goal is to impress the necessity for a balanced combination of skill, talent, intelligence, determination, and perseverance in every student. The Art Salon “conversational” atmosphere is a relaxed, yet focused, setting that will take the pressure off the students, artists, and audience participants and create a nurturing and all-encompassing learning experience. Whether art novice or connoisseur, please attend and experience the unique and innovative multi-disciplinary arts experience. 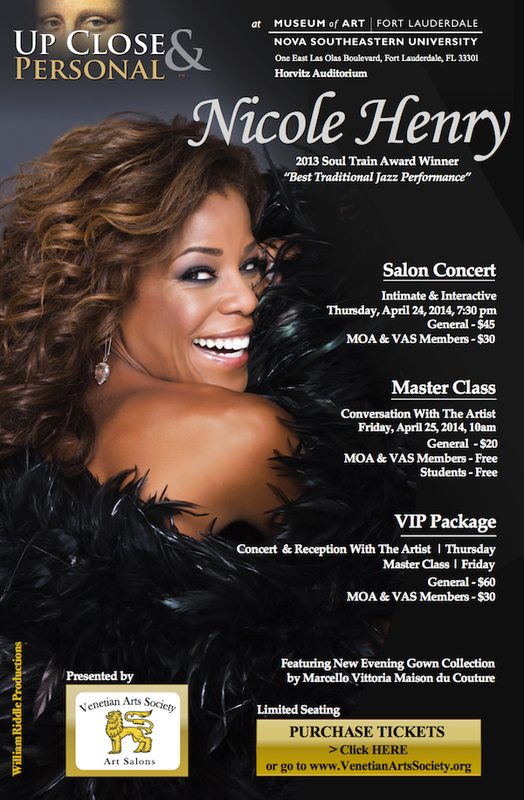 South Florida’s newest and most comprehensive arts experience is The ArtSage Alliance. 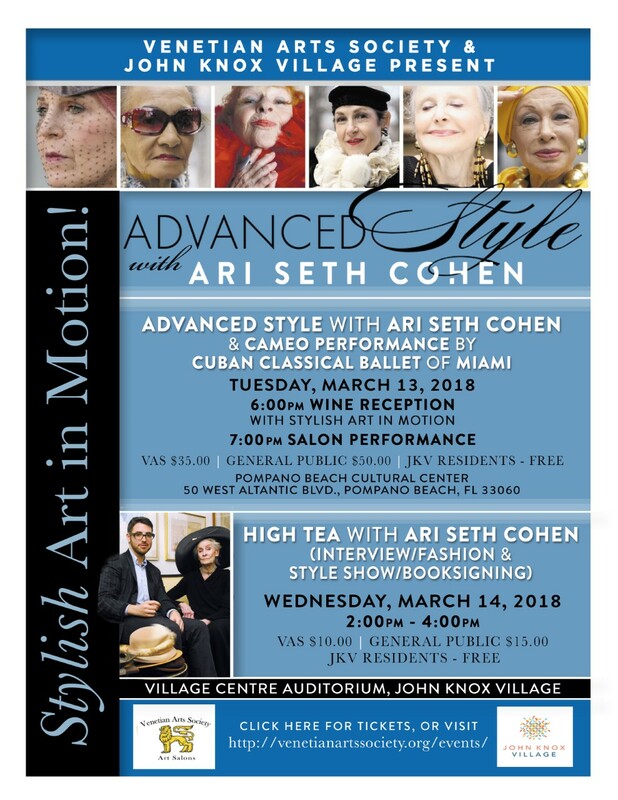 This collaboration between the area’s Venetian Arts Society, John Knox Village and Nova Southeastern University promises to provide a unique and innovative multi-generational/multi-cultural fine arts program that promotes unity in our diverse community. The Alliance’s ambitious goal is to synthesize the total artistic, social and educational experience within an inter-generational and multi-cultural atmosphere and to enrich the individual lives of all in our community through meaningful and purposeful artistic presentations—evoking the vibrancy, energy and sheer productivity that result when people of all ages come together. Our mission is to present programs of the highest artistic caliber, while maintaining a dedication to young artists, a commitment to all forms of the performing arts, a passion for contemporary innovation and an enthusiasm for providing unusual performance opportunities for established artists.